The Trustees aimed to maximise the potential to preserve the heritage of Canterbury and provide opportunities for people to participate in arts and cultural activities. The focus was on large-scale infrastructure and venues that allow continuity for participation in arts and culture. Sector collaboration was particularly valued. 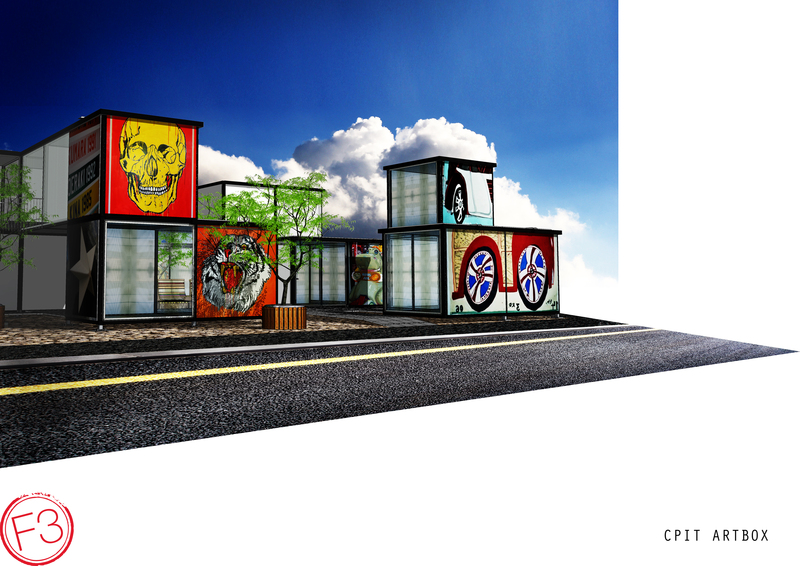 $50,000 to help Art Boxes start up a temporary mobile arts gallery and workshop/studio space for artists in central Christchurch. These facilities will provide spaces for around 100 Christchurch artists to help support the art community. This funding is donated by the UK Appeal Trust. $50,000 to help Beatbox establish a new central rehearsal space for local musicians. This funding is donated by the UK Appeal Trust. This project provides support to community cultural institutes displaced by the earthquakes. $1.5 million has been granted towards the Canterbury Cultural Collections Recovery Centre which will be located at the Air Force Museum in Wigram and available for the restoration, storage and rehabilitation of heritage and cultural collections. Displaced cultural institutions, large or small, will be able to use the facilities free of charge at the Air Force Museum, opened in February 2013, for up to three years. Storage will be available for a further three years. The is a new initiative and it will provide safe and secure premises for the region’s collections, some of which are nationally and internationally important. It also provides community groups more certainty in storing and rehabilitating collections, an opportunity for the cultural sector to work together on longer term recovery options. The Centre will enable recovery work such as conservation and cataloguing with the help of local experts, and from Te Papa National Services in an appropriate climate controlled, secure environment. Already 20 organisations such as Lyttelton and Sumner museums have indicated an interest in participating in the project. $19,000 of funding to lease an alternative venue for rehearsal space for six months, due to the loss of home theatre. This fund was contributed by the Vodafone Foundation Canterbury Fund. For a full list of the Vodafone Foundation funded projects click here. $20,000 funding towards running an exciting new art space, helping solve the lack of art space in Christchurch following the quakes. This fund was contributed by the Vodafone Foundation Canterbury Fund. For a full list of the Vodafone Foundation funded projects click here. Up to $140,000 to complete the earthquake-related repairs needed so the gallery building can re-open to the public. $25,000 Funding towards the fit out and lease on new music rehearsal space in central Christchurch. This fund was contributed by the Vodafone Foundation Canterbury Fund. For a full list of the Vodafone Foundation funded projects click here. Up to $100,000 to establish a permanent administration hub near the classrooms used for teaching, following the demolition of its earthquake-damaged premises. $150,005 was raised for the Christchurch Symphony Orchestra to go towards recovery and rebuild. A charity concert was held in Christchurch in October 2011 with Placido Domingo, one of the world's greatest living opera stars. A sell-out success, the concert raised over $300,000 for the Court Theatre and the Christchurch Symphony Orchestra. The gift was donated to the Christchurch Earthquake Appeal and has been paid to the two recipients to assist in their recovery from the earthquakes and to help ensure these organisations are able to continue to provide opportunities for the public to participate in arts and cultural activities. $50,000 contribution towards the build of transitional studios and a gallery to provide amenities and outlets for Christchurch artists who lost work and exhibition space. This fund was contributed by the Vodafone Foundation Canterbury Fund. For a full list of the Vodafone Foundation funded projects click here. $50,000 to upgrade and strengthen the historic malt kiln that was damaged by the earthquake and used by the club for recreational activities. This fund was contributed by the Vodafone Foundation Canterbury Fund. For a full list of the Vodafone Foundation funded projects click here. A further $113,745 was granted by the Appeal Trust for the repair and strengthening of the historic malt kiln at Ward's Brewery. Up to $120,000 to equip the Isaac Theatre with additional digital features to offer another performance dimension for all users, as well as provide a permanent central city venue for future film festivals. $5,500 to purchase and install onstage infrastructure in the recently repaired Halswell Community Hall. This will be open to other community groups, including the local school who lost their hall in the quakes. This fund was contributed by the Vodafone Foundation Canterbury Fund. For a full list of the Vodafone Foundation funded projects click here. The Isaac Theatre Royal, a 104 year old heritage building in Christchurch city, will receive $1 million funding from the Christchurch Earthquake Appeal Trust to help ensure it is reopen to the public in the first half of 2014. The planned refit will help to ensure the theatre is more flexible, and suitable for a wider range of professional and community groups. The Theatre is an iconic and much loved public performance venue in Christchurch and once reopened will be the only Grade A Heritage listed theatre remaining in the city as well as the only surviving and operating Edwardian style venue in New Zealand. $5,593 to repair of the band committee room where it has come apart from the main band hall as a result of recent earthquakes. This fund was contributed by the Vodafone Foundation Canterbury Fund. For a full list of the Vodafone Foundation funded projects click here. $10,000 to develop a website utilising a range of media that documents the Christchurch High Street precinct prior to the February quake and preserves cultural heritage. This fund was contributed by the Vodafone Foundation Canterbury Fund. For a full list of the Vodafone Foundation funded projects click here. 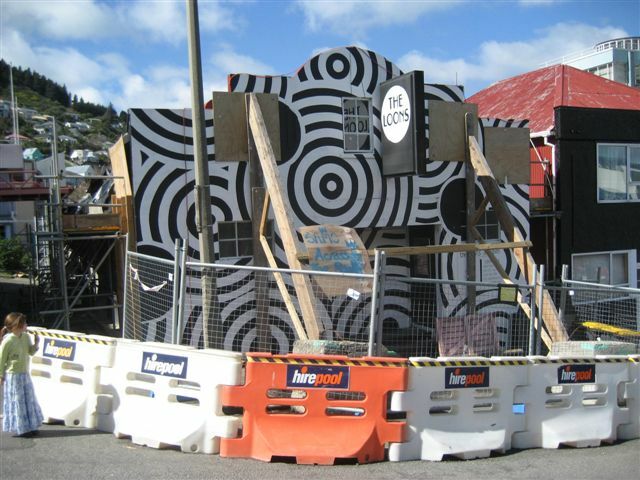 Up to $80,000 to repair the wharekai used for wider hapu events and gatherings, damaged as a result of the earthquakes. “Earthquake repairs to the much loved Riccarton House in Kahu Road, Riccarton, have started this week,” said Charles Deans, Chairman of the Riccarton Bush Trust. Riccarton House, a Category 1 registered historic building, was built in three stages from 1856 by the pioneering Deans family from Scotland, the first permanent settlers on the Canterbury Plains. It is now operated by the Trust as a living museum of colonial history, and as a restaurant and function centre. “Whilst Riccarton House was closed to the public after suffering significant damage from the 22 February 2011 earthquake, it is exciting to think that a generous grant of $128,375 from the Christchurch Earthquake Appeal Trust, together with insurance will allow the house to be strengthened, repaired and renovated,” said Mr. Deans. Simon Construction is carrying out the $2 million project which will be completed by early 2014. The Christchurch Earthquake Appeal Trustees appreciate the advice received from the Canterbury Earthquake Heritage Buildings Fund. A further $50,000 was granted to complete earthquake-related repairs and strengthening to allow it to reopen to the public. Up to $182,500 to repair its earthquake-damaged hall built 1884 in St Albans, for use by the Society and community groups. Up to $138,000 for additional works on its replacement building on St. Asaph Street so that it can continue to support grassroots performing arts groups in Christchurch. $14.2 million of funding has been announced for the Christchurch Arts Centre, to be used towards the rebuild and restoration of the Clock Tower and the Great Hall. The Arts Centre is world-renowned and an iconic building in Canterbury. The Clock Tower has a particularly significant heritage value as the first stone building in the original collection of buildings in the complex, which was the home of the University of Canterbury for nearly a century. Designed by pre-eminent Gothic Revival architect, Benjamin Woolfield Mountfort, the Clock Tower was completed in 1877. The Great Hall, which opened in 1882, has hosted many educational, social, cultural and recreational activities for the people of Christchurch. The Arts Centre gift is being contributed by Fletcher Building ($4 million), the Aotearoa Foundation ($5 million), and the Canterbury Earthquake Heritage Building Fund ($5 million). John Griffin, President of Blue Ridge Capital is also supporting the project. The Aotearoa Foundation is an affiliate of the Robertson Foundation, a private foundation in the United States begun by investor and philanthropist Julian Robertson. The Canterbury Earthquake Heritage Building Fund’s contribution for this project is being provided by the Ministry for Culture and Heritage in a matched funding arrangement with the Christchurch Earthquake Appeal Trust. The Trust has given $60,000 to the Christchurch Arts Festival to provide an outreach to children programme as part of the 2011 festival. Many extra-curricular activities were cancelled in Christchurch following the earthquakes, and many students had to work under very difficult conditions. This initiative provided thousands of school children with an opportunity to learn and participate in art and music programmes. The Christchurch Earthquake Appeal Trust provided funding of $2.5 million towards the Court Theatre’s fundraising campaign to build a new theatre in Addington, which opened on 7 December 2011. Most performing arts venues have suffered damage in the February earthquake. The Court's home in the Arts Centre was red-stickered, along with most of the buildings in the Arts Centre campus. The Court is an iconic theatre. It is New Zealand’s largest and most productive theatre company. 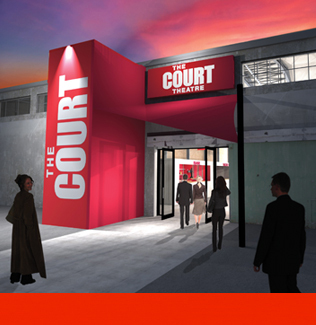 This project ensures that The Court can continue to operate, opening the doors for over 150,000 Cantabrians and visitors who visit this theatre each year. The Court runs a comprehensive programme each year which includes up to 22 plays, an education and training programme for children, youth and adults, as well as offering entertainment to children and families with holiday shows and a touring primary school show. The Court Theatre also receives $150,005 to go towards recovery and rebuild, which was raised with a charity concert held in Christchurch in October 2011 with Placido Domingo, one of the world's greatest living opera stars. A sell-out success, the concert raised over $300,000 for the Court Theatre and the Christchurch Symphony Orchestra. The gift was donated to the Christchurch Earthquake Appeal and has been paid to the two recipients to assist in their recovery from the earthquakes and to help ensure these organisations are able to continue to provide opportunities for the public to participate in arts and cultural activities. The warehouse transformed into a theatre was recognised as one of the best buildings in post-earthquake Canterbury, receiving an award for public architecture at the 2012 Canterbury Architecture Awards. $62,278 has been provided towards the repairs and fitout of the Loons Theatre venue in Lyttleton to assist the reopening of the theatre space and allow the continuity of its community and educational role. The community of Lyttleton has been badly affected by the earthquakes. It was the closest town to the epicentre of the February 6.3 magnitude quake, and this was evident in the damage to buildings, homes and community spaces in the township. 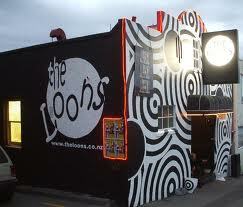 The Loons Theatre venue is in the centre of Lyttleton and is a successful community space, multipurpose venue and bar, and the home of the Loons Circus Theatre Company (LCTC). The LCTC company was founded by theatre director Mike Friend and is well known for its popular festival shows such as ‘The Butler’ which toured Britain, and the popular ‘Berlin Burlesque’. This project will allow the Loons Theatre to reopen to the community and be used once again as a rehearsal and performance space for the LCTC, community activities and visiting production companies. 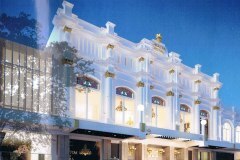 The project is underway and expected to be complete by June 2012.